Russian anti-virus vendor Kaspersky Lab has filed two antitrust complaints against Microsoft in Europe, contending that the company has engineered Windows 10 to favor its preinstalled malware-fighting program. 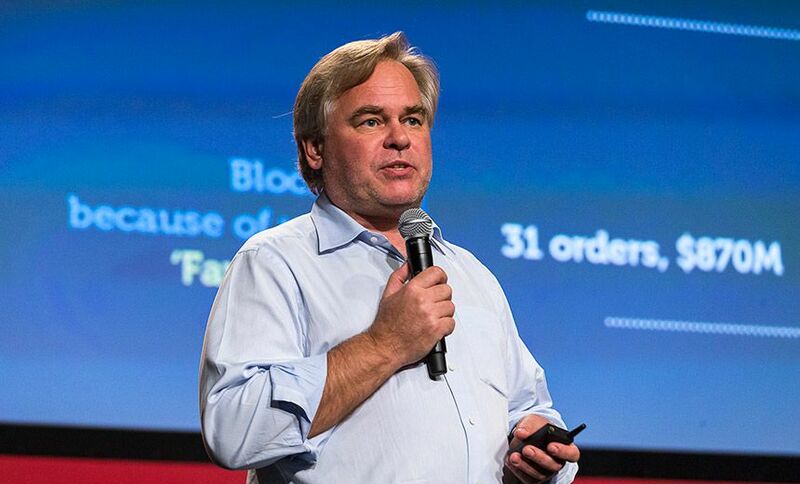 The complaints have been filed with the European Commission and Germany's Federal Cartel Office, Kaspersky Lab CEO Eugene Kaspersky writes in a blog. "We want Microsoft to stop misleading and misinforming our - and not only our - users," Kaspersky writes. "We want to see all security solutions being able to work on the Windows platform on a level playing field." Kaspersky alleges that Microsoft has sought to disadvantage third-party anti-virus programs over its own Windows Defender, which ships preinstalled with Windows. Kaspersky cites several behaviors within Windows that he contends are aimed at nudging users away from competing anti-virus products. Microsoft, however, has dismissed the allegations. In a statement, the company says it is "confident that the security features of Windows 10 comply with competition laws." Microsoft also says it proposed executive-level meetings with Kaspersky a number of months ago, but the meeting "has not yet taken place." The company adds: "We're always interested in feedback from other companies, and we engage deeply with anti-malware vendors and have taken a number of steps to address their feedback." The moves in Europe follow Kaspersky Lab in November 2016 filing a complaint against Microsoft with Russia's Federal Antimonopoly Service. Microsoft fixed some issues that Kaspersky had complained about without waiting for the FAS to act, Kaspersky writes. Microsoft began dabbling in security products in 2006. The company released a free product called Windows Antispyware, which was largely designed to remove easy-to-catch adware and spyware that were pervasive on the internet at the time. Microsoft later renamed the product Windows Defender. The same year, it launched Windows Live OneCare, its first subscription-based security product with anti-virus, backup, firewall and anti-spyware features. Four years later, it released Security Essentials, a consumer product that was designed to replace OneCare and Defender. Anti-virus rivals such as Symantec and Trend Micro ridiculed the product, Computerworld reported at the time. In 2011, the product was running on 30 million machines, according to TechRadar. Reached Wednesday, Symantec said it did not have a comment on Kaspersky's filings. Other anti-virus vendors could not be immediately reached for comment. Microsoft is no stranger to anti-competition complaints. In one of the most significant tussles with the European Commission, Microsoft was fined €497 million ($559 million) in March 2004. The commission ordered the company to remove Windows Media Player from the OS and make technical documentation available to software companies making Windows-compatible products. In early 2008, the commission fined Microsoft €1.3 billion ($1.46 billion) for failing to comply with the antitrust ruling. A year later, the commission took issue with Microsoft's bundling of Internet Explorer with Windows. That was settled after Microsoft created a preference window that allows users to select their browser, including third-party options. Kaspersky appears to make the same kind of argument against Windows Defender - a product he terms as being "inferior" - as it did in past commission cases. "We see clearly - and are ready to prove - that Microsoft uses its dominant position in the computer operating system market to fiercely promote its own - inferior - security software (Windows Defender) at the expense of users' previously self-chosen security solution," he writes. Kaspersky says that his software is not allowed to display its own notifications from within the application if that user's subscription has lapsed. Instead, he writes, Microsoft mandates applications must display those notifications within Windows' Action Center. Users pay little attention to those notifications, he argues. He also alleges that when users upgrade to Windows 10, it deletes the drivers for his security application, rendering it useless. Windows Defender is then automatically turned on with a brief notification. "Windows does this without the explicit consent of users and also with barely any warning: the notification displays on the screen literally for just a few seconds," Kaspersky contends.